A new study soon to be published in the journal PLOS ONE suggests that air pollution is killing approximately 4,000 people in China a day, accounting for one in six premature deaths in the country. Researchers used real air measurements and computer model calculations to estimate the lung, stroke, and heart deaths for various pollutants. Physicists at the University of California estimate that approximately 1.6 million people in China die each year from lung, stroke, and heart conditions caused by air pollution. 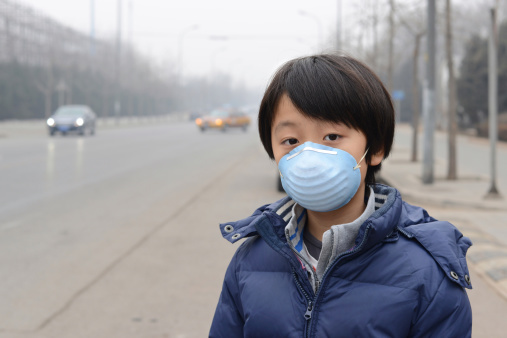 The study’s lead author, Robert Rohde, indicates that 38% of the Chinese population lives in areas where the long-term air quality average is deemed “unhealthy” by the U.S. Environmental Protection Agency. Researchers put it in perspective: data from the American Lung Association reveals that Madera, California has the highest annual average for particle pollution in the U.S. However, 99.9% of the eastern part of China has an even higher annual average for particle pollution than Madera. Rohde suggests that China can reduce carbon dioxide emissions by limiting coal use. “Air pollution killing 4,000 in China a day, U.S. study finds,” NBC News web site, August 13, 2015; http://www.nbcnews.com/health/health-news/air-pollution-killing-4-000-china-day-us-study-finds-n409516.